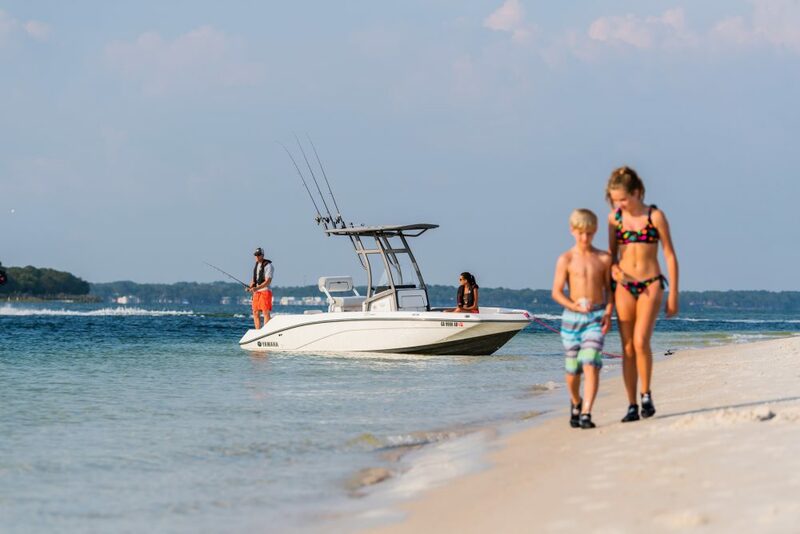 As trends change in boating we have noticed more emphasis on family activities such as water sports and cruising and less importance placed on pure fish ability. No longer is it Dad and the guys who determine the features and design of the boats as much as it is Mom and the kids. Dad still wants to fish, but Mom wants the boat to be comfortable and functional for other purposes, and the kids need a place to sit. The Family Sportsman series is designed with all of these needs in mind. 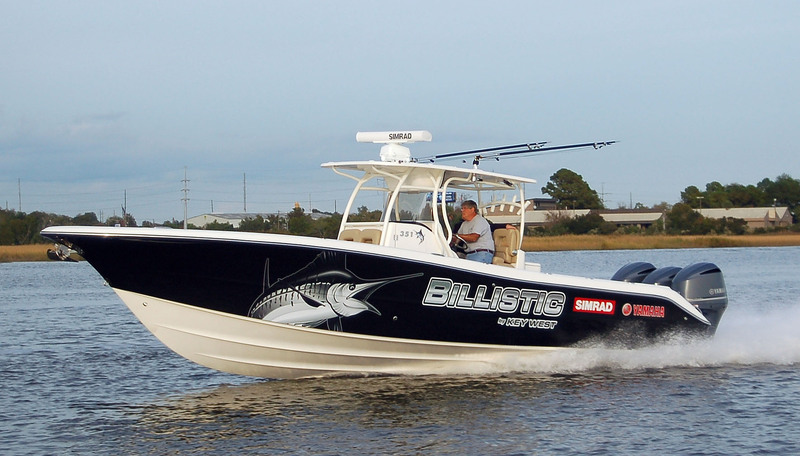 Compared to our traditional center console designs you will see more seating with the full width bench seat in the stern where the cushions and even the backrest are removable to convert the bench to a fishing deck. 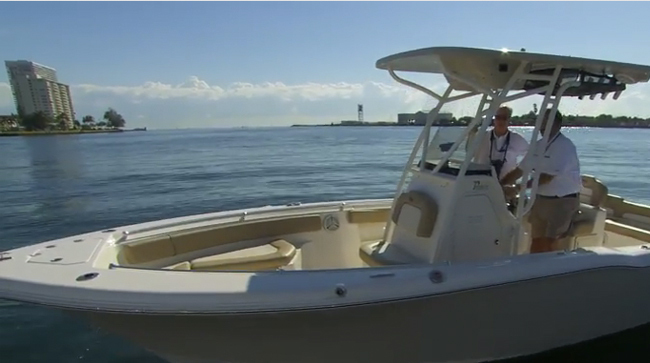 Cup holders haven’t been missed and you will find them at the transom seat, console, and even on the front deck. Rod holders are still important as well, and the Family Sportsman have rod storage molded into the side wall of the boats, a feature normally found only in high end, expensive boats. Storage is always at a premium in any boat and we have expanded there with fully lined compartments under the bench. 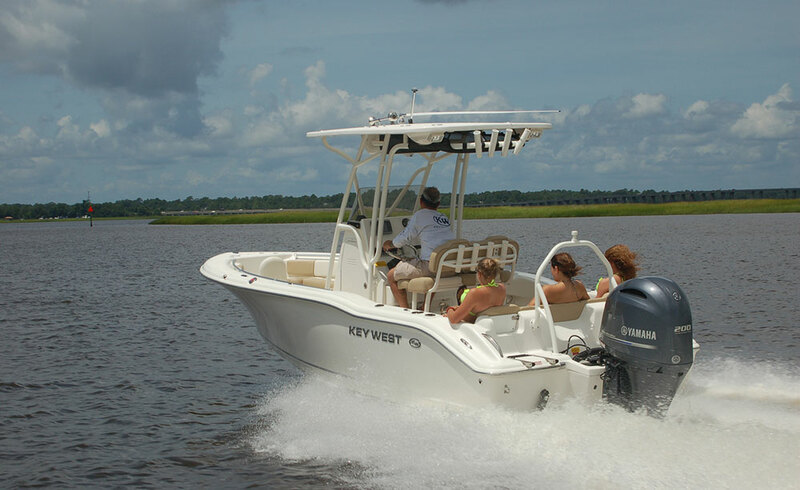 As is true with every Key West Boat, the Family Sportsman series also has live wells in each model. Live wells can double as storage, cooler space, or simply a trash compartment when not used for their intended purpose. We haven’t missed the sunbathers either. They can lounge comfortably on the full width bench seat in the rear or on spacious front decks. 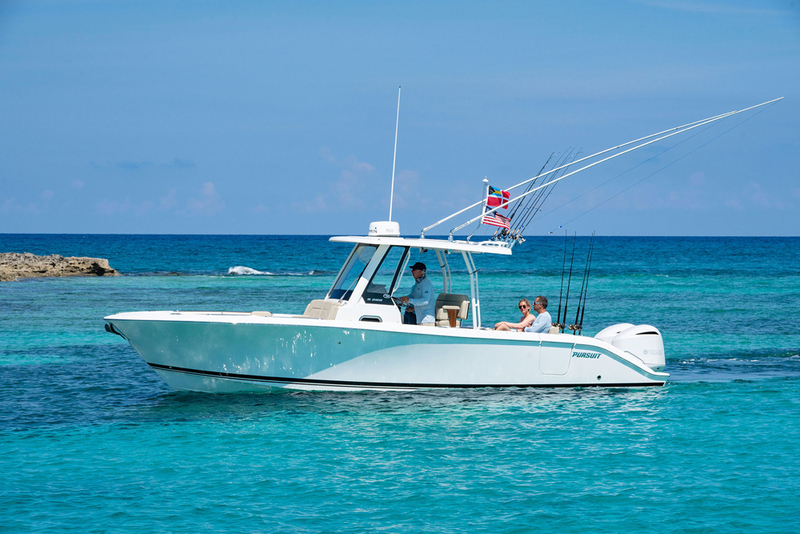 The Family Sportsman from Key West Boats is an all around water sports platform for the whole family no matter what the day brings. 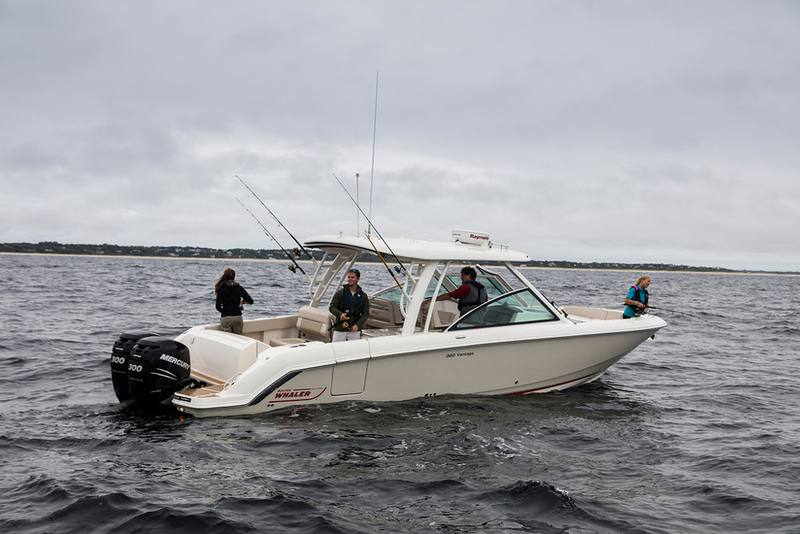 Engines (Included in Product Price) Yamaha F200XB 4St* $46,840.00 Motor / Pre-Rig Configuration Yam Single Cable CommandLink 6YC Info Station $2,725.00 Sidewall Colors Ocean Blue $585.00 Rub Rail White / SS Rub Rail upgrade $650.00 Hard Top Hard Top Radiobx,Cargo Net, LEDs, Rod Holders w/POWDERCOAT $9,235.00 Top Accessories Accent Colored Hard Top $370.00 Helm Seating Configuration 3.1 Std LeanPost w/ rocket launchers w/ POWDERCOAT $875.00 Helm Seating Configuration 4.1 Leaning Post Removable Backrest w/ POWDERCOAT $510.00 Helm Seating Configuration 8 Console Footrest/ Storage-Recommended with Premium LP $435.00 Helm Seating Configuration 8.1 Led Lights for Footrest $285.00 Canvas Color Toast $0.00 Electronics Polk Bluetooth Stereo and MP3 port w/4 Speakers $1,275.00 Electronics Polk Extra 2 speakers (for front, rear and hard top) $345.00 GPS Garmin ECHOMAP 1042XSV GPS w/ NO TRANSDUCER $2,520.00 Echomap Transducers GT51-TM All in one Transom Mt & SpraySh (Garmin GT51-TM Traditional, Chirp, Downvu/Sidevu (recom as stand alone) $450.00 Cushions Full Bow Cushion Package $1,060.00 Electronics - Lights Interior LED lights (Blue) $250.00 Electronics - Lights Lumishore Underwater Lights $500.00 Other Fresh Water Station $670.00 Other High Pressure Wash down (pump) $260.00 Other Pop-up Fender Holders (4) $195.00 Other Ski Pole - Deck Mount POWDERCOAT $1,795.00 Other Toilet, Portable $125.00 Other Trim Tabs with Level indicators $1,210.00 Product Retail Price: $73,165.00 Dealer Discount: ($11,565.00) BMSS SALE PRICE $61,600.00 TRADES WELCOME ALWAYS! We trade boats, cars, trucks, RV s and motorcycles! We Buy And Boats! Mention this ad to get free Sea Tow Membership. RSVP to reserve your ride. All sales subject to your satisfactory sea trial. Call For fast service. Closed Sunday for Family Boating Day. Where Florida Boaters Shop and Save! As Always we beat Boat Show Deals. Boat and Motor Superstores 36851 US Hwy 19 North, Palm Harbor, Fl. 34684. or our East Coast Location. Palm Bay Marina 4350 Dixie Highway NE. Palm Bay, Fl. 32905. . Visit our Web Site www.Boatandmotorsuperstores.com for more Pics. and Video! You must present this ad at time of sale for this price!!! *Items in Pictures are not necessary included in pricing! Live well with high speed pump pickup. Recessed low profile bow rail. Molded in swim platform with telescoping 3 step ladder. Bench seat with snap on cushion. Bench seat cushion and backrest with cushion. All boat sales subject to your satisfactory sea trial.